Go ask the School Nurse. She'll know. Literature as a path towards cultural competence. It was the last day of school and everyone was smiling except the nurse. Sometimes I’m tempted to skip to the comments. Can we talk about #culturalhealth? My office is located on the sixth grade hall in a busy Middle School so in many ways I’m literally stuck in the sixth grade. That’s not always a bad thing because sixth grade is a year full of exploration and learning. The writing prompt I came up with to guide my personal assignment took me into some unexplored territory but not nearly as hair raising as Imperial Rome without a cell phone or wading through anaconda infested waters. 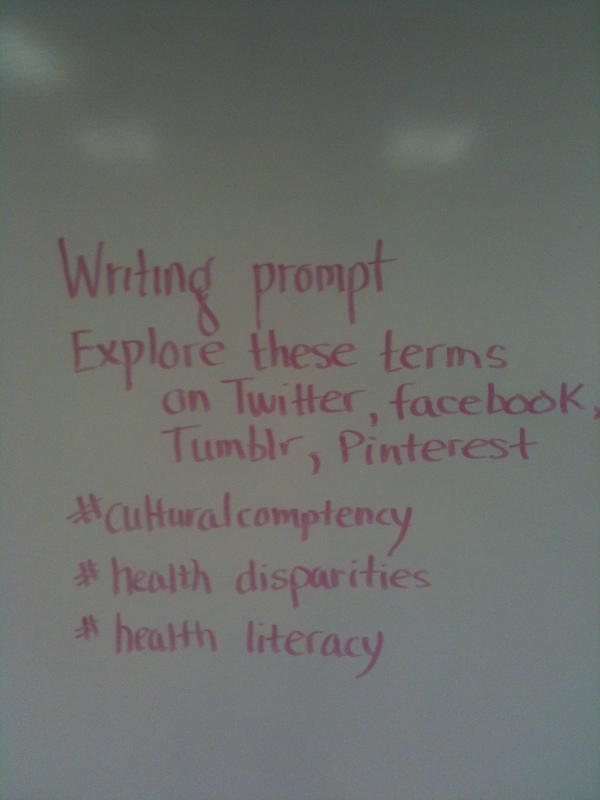 I searched for the terms cultural competency, health disparities, and health literacy on Twitter, on facebook, on Tumblr, and on Pinterest. I found that many professionals are asking what does it take to be a culturally competent nurse or doctor or teacher. Professionals are asking where they can find training resources to help them work towards cultural competency. Parents and students too are posting about cultural sensitivity and disparities. Over and over again parents and professionals are saying we have to find a way to start the vital conversations about disparities, about cultural sensitivity. Professional conversations, modeling, and sharing – that is the Nursing way of learning. We invite you to start those conversations in your schools and with your school nurse colleagues. The NASN2014 Cultural Competency work group and the NASN2014 Twitter Mentors will host a Twitter chat on the topic of Cultural Competency January 6 at 6 pm EST. We hope you will take part in the conversation.